It is the time of year for spooks and candy! Get Tricky Treats for your iPhone, iPad or Android smartphone / tablets. 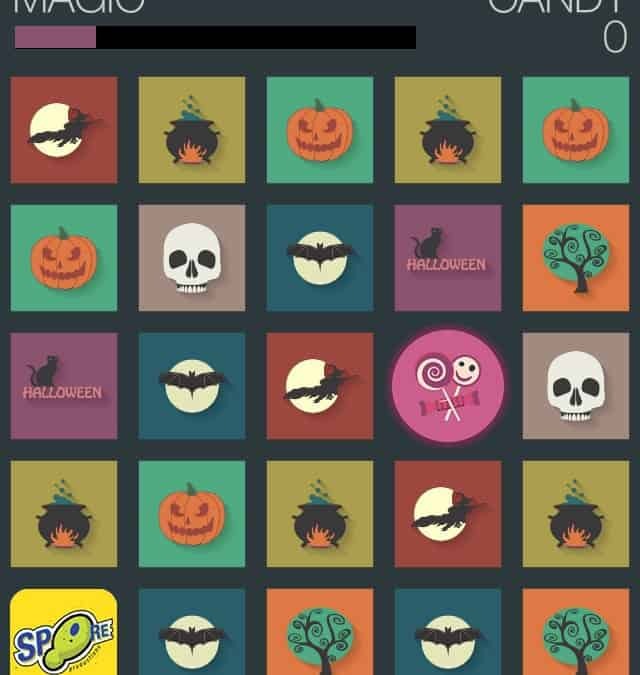 Tricky Treats is a halloween game where you try to match-5 to collect candy, as fast as you can! You must race the clock before the magic runs out. Replenish magic by matching 3, 4 or 5 of the same symbols.